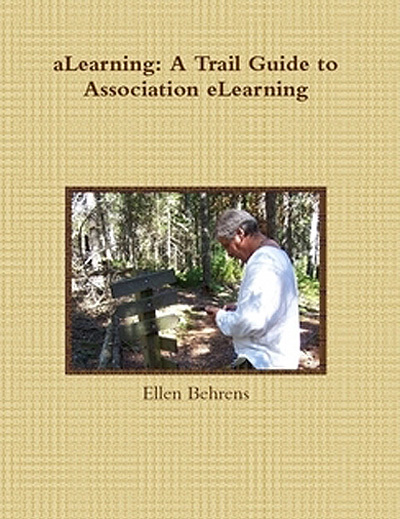 Once again, our sincere thanks to the many association learning leaders who responded to our request to participate in the 2011 aLearning Association Survey and to those who promoted it. While we had the best response yet to an aLearning Survey, the number of responses wasn’t high enough for us to confidently suggest that the results serve as any sort of benchmark. Instead, we recommend that you use this summary as a way of seeing what other associations and non-profit organizations are doing in the way of online learning. Past posts have summarized profiles of the survey participants, their staffing, budget, and online programs. In this post we’ll take a look at how many of the respondents are using social learning. A lot of organizations, regardless of the number of members or staff size, has incorporated social learning in some way. And while we might assume that the larger organizations are more aggressive in this area, our results don’t support that assumption. Some organizations have opted to incorporate a social learning component with every event; it seems that this would only happen if the benefit of doing so had proven well worth the additional time and resources required. 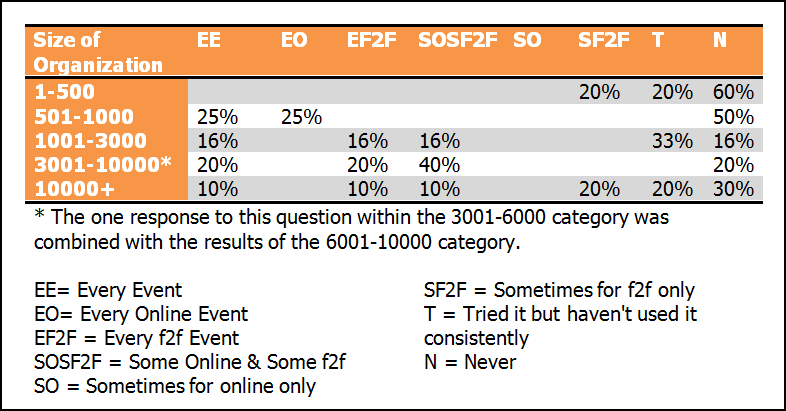 Social learning components are primarily tied to face-fo-face events, rather than online events. This last item is a bit puzzling… Maybe social learning isn’t being implemented as an element of online events because those events are structured to allow for interaction with others — so there is no perceived need for a supporting “social” element. But that wouldn’t explain why, then, a “social” element would be desirable to supplement a face-to-face event, where — presumably — people are about to meet and talk one-on-one. Hmmm! I confess to expecting to see social learning linked to asynchronous events, as those tend to be situations with solitary learners. Supplementing them with social learning elements seems to make sense, don’t you think? Some of those who commented remarked that they use Twitter but in a general way, rather than tied to specific programs. Another respondent remarked that every event incorporates social learning because all elearning is connected to their organization’s social network. Yet another said they require a social component within a formal, online certification program. As usual, these variations indicate that associations and other organizations are navigating their way along the social learning and elearning paths… but what big changes do they see coming in the next year? For that insight, watch for our next post, summarizing more of the survey results.